This is a rectangular Benjamin Moore Paints porcelain sign. This particular Benjamin Moore Paints sign is predominantly white with red and white text. 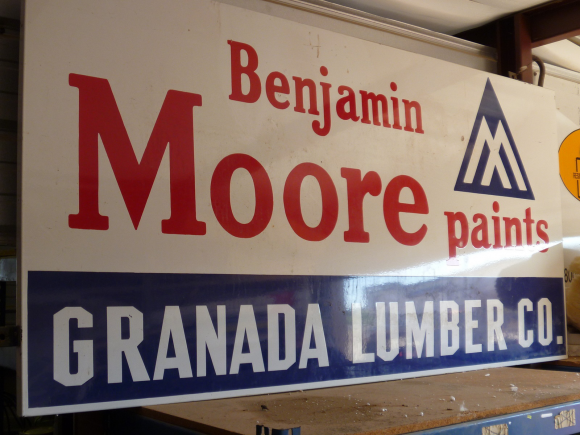 It reads, “Benjamin Moore Paints, Granada Lumber Co.” and features the Benjamin Moore symbol in the upper right corner.